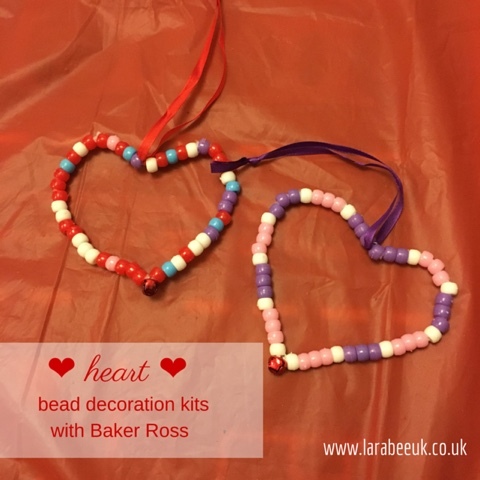 This is another awesome kids craft from Baker Ross which actually could easily be re-created yourself. I know I'm a bit late in posting this but I think it's so good I really want to post it despite Valentine's Day being over! 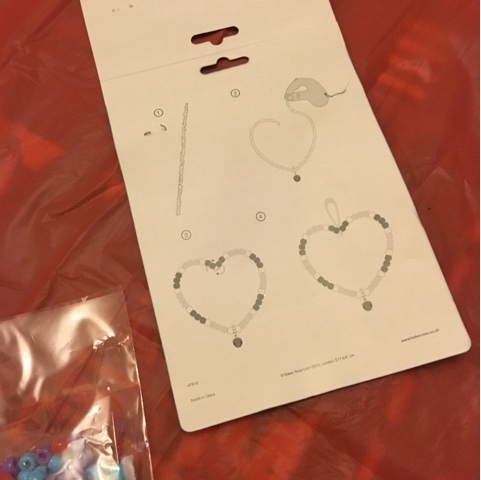 The Heart Bead Decoration Kit comes with enough materials to make 6 of these hearts and costs £3.49 working out at 58p each, a bargain, I'm sure you'll agree! Great, clear instructions in true Baker Ross style, easy for older children to follow themselves. 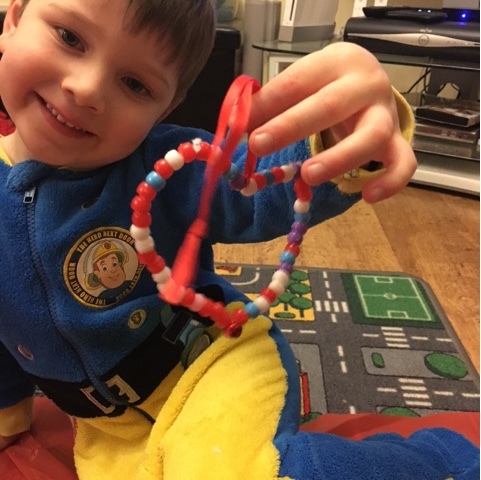 I set up a little after school mat and we made these in no time at all. 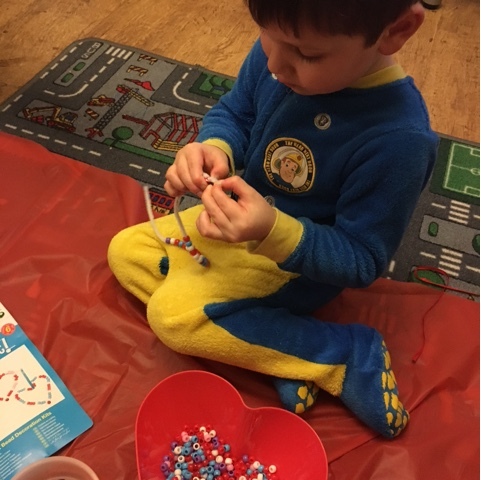 T refused to follow a pattern, I think he was being lazy that night, but it would be an additional stretch to his activity to get the child to sort the beads themselves and follow the patten as well as work on their fine motor skills. 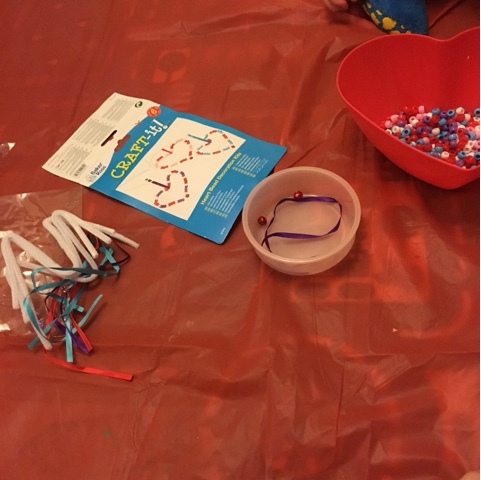 Disclaimer: we were sent this craft in exchange for our honest review.